It is now pretty common to find eco indicators in your speedometer cluster asking you to ease up on the throttle or shift up early if you aren't light on the pedal. Admittedly, most of us will choose to ignore that and drive as per normal. 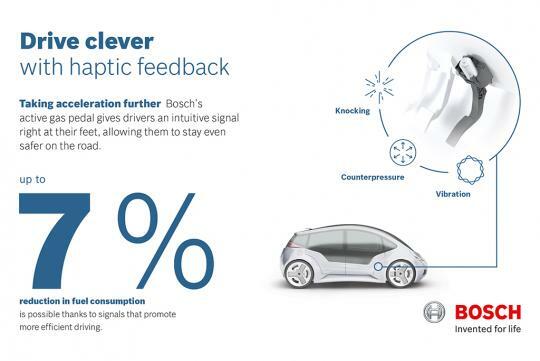 With that in mind, Bosch reckons its latest invention might make it harder for you to ignore. Being an active system, it is capable of haptic feedback which also means that the pedal can vibrate, knock, or even push back against a driver’s foot. Once the vibration reaches your foot, Bosch says that it is more likely you will ease up on the throttle rather than having eco cues on the dashboard. According to Bosch's research, an estimated fuel saving of up to seven percent can be achieved on most cars. Adding on, the active pedal active gas pedal could also be wired into a vehicle’s safety systems to lend a hand with collision avoidance. The concept is not new as some of the higher end cars have steering wheels that tug or vibrate whenever you stray away from your lane without signalling. Can't imagine this being installed in performance cars. 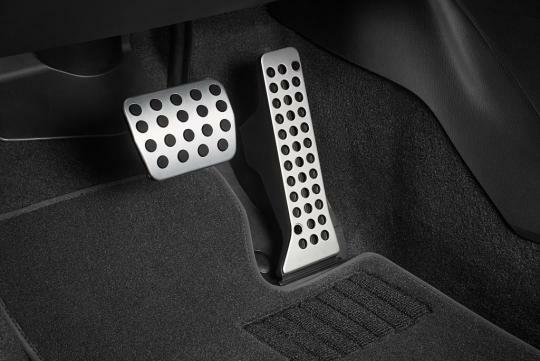 But insurance companies can work together with Bosch to have this installed at a discount in cars, and cars installed with this "ECO" gas pedal are entitled to a 5% discount in insurance premiums.